The Wood workshop has continued providing its services by delivering goods to internal and external customers. CRP centres are mostly furnished with the furniture made in this workshop. 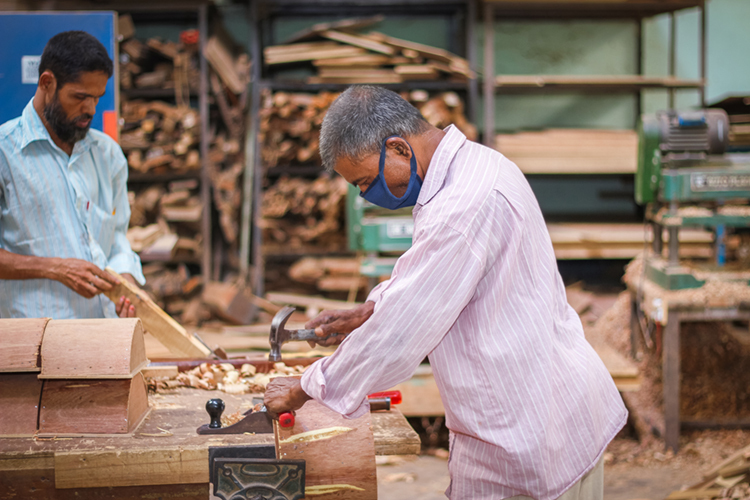 The wood workshop produces 150 wooden assistive and therapeutic devices. Most of the devices are produced for patients’ support. At present, the work shop is running with 26 staff members including four staff who have disabilities. During this reporting year, the Wood workshop participated in different fairs organized by the British and Canadian High Commissions and others.These events not only help CRP to generate income but also to heighten awareness about disability and the impact it has on people's lives.